ORION’s upcoming Tech Seminar Series will focus on IT security hot topics that Ontario’s network professionals need to know about. 3:15 – 4:15 DoS event: Drinks Hors d’Oeuvre Social – no service will be denied at this DoS event! Dave is an operational solutions expert with more than 20 years’ experience in fast-moving security and intelligent environments in the UK, Canada, and worldwide. Influential in efficient and effective resolution of various unique national security issues. He’s worked in civilian, military and diplomatic worlds, and recently advised several government institutions by helping them reduce vulnerability and level of risk. Learn the benefits of using machine learning to detect “unknown unknown” threats — and how immune system technologies is fundamentally innovating cyber defense. Dave Masson will demonstrate how to apply machine learning and mathematics to detect advanced, internal threats, investigate emerging anomalies in real time by gaining 100% network visibility, and share case studies. Currently Director of Strategic Initiatives within Information Technology Services at the University of New Brunswick (UNB), where he is responsible for finding creative solutions to complex organizational technology problems, turning these challenges into sources of competitive advantage. David frequently writes about cybersecurity. His work has been featured in higher education and IT security industry blogs, such as Educause Review and Tripwire’s State of Security. Named one of Atlantic Canada’s top 50 entrepreneurial leaders under 40 in 2015. What can each higher education community member, institution and the sector, as a whole, do to begin to effectively combat cyber threats while maintaining the core mission of teaching, learning and research? Join David Shipley, director of strategic initiatives at the University of New Brunswick as he identifies the key blind spots in higher education cybersecurity, and how to guard your students. Senior Systems Engineer at Juniper Networks Canada, and brings 20+ years experience in designing, implementing and managing network security. Works with major Canadian service providers and large enterprise clients. From today’s model of point product solutions to a new world of ubiquitous secure networks, learn how cyber threat intelligence has changed. Gain a better understanding of today’s key architecture concepts, including telemetry, advanced malware detection and pervasive network security with Juniper Networks. Currently Associate Director of IT Operations and Infrastructure in Computing and Communications Services (CCS) at the University of Guelph (U of G), where he leads various CCS teams in the architecture, implementation and support of multiple technology disciplines. Previously, Dave was Principal Architect at Blackberry, where he led the global execution of strategic security initiatives, building their robust security road map and defining their security initiatives and vision. Currently Information Security Risk and Compliance Officer in Computing and Communications Services (CCS) at the U of G, where he has served for more than 20 years as an Analyst and IT Security Officer. Gerrit holds a CISM from ISACA and is a CISSP Associate. He also received his MA Leadership in 2014 from U of G.
Currently Manager of Information Security at U of G, where he leads a team of security analysts responsible for security operations, incident response, risk and compliance, and security awareness. Previously, led a global team responsible for the security posture of Blackberry, including analyzing security threats and supporting internal and external security applications. What unique security challenges does the higher education sector face? Hear from University of Guelph’s IT security gurus, Dave Whittle and Stephen Willem on how they transformed Guelph’s reactive on-campus security to a strategic, proactive practice. Global Team Leader for Trend Micro, specializing in data breach systems. In his practice, David analyzes logs, samples and other evidence of targeted attacks and breaches. Examining the daily practice of data breach security, David Girard will explore Trend Micro’s experiences with affected verticals, recommended defense tactics, techniques and procedures, and the orientation and attitude an organization should have towards breaches. In his 20+ years of IT security experience, Brian has held various positions ranging from Head of Security and Operations for the largest public health care provider in Canada, to CTO of the integration firm Infostream Technologies. An interest in new and innovative technologies led him throughout his career, where he now scopes and defines efficient and effective security architectures for his customers, while maintaining input into engineering teams within the Datacenter Security and SIEM units. Organizations are looking for best practices and approaches to achieve continuous visibility and actionable intelligence for maturing their security operations. They need scalable, intelligent, and adaptive systems for handling the ever-growing volume of events, while optimizing their ongoing operational challenges. Intel Security will explore more efficient operational intelligence actions including how to detect, interpret, and respond to events, streamline security operations as an offset to limited resources, and keep the cost of incident response and compliance down, despite an increasing volume of events, incidents, and regulatory actions. Share your IT topic for the opportunity to share your work at a future technology community forum hosted by ORION. 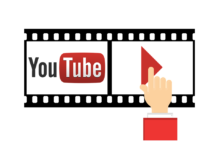 Head over to ORION’s YouTube channel to find the full recordings of some of the Tech Security Seminar presentations.